If you've been following Ramblings of a Daydreamer for any length of time, you'll likely know that I'm a very proud Canadian. I love my country and take great pride in being Canadian. Because of that, I always set my books in Canada. All three of my novels are set in Ontario, Canada; the towns are fictional but are surrounded by well-known cities (little-known fact: The Game Changer was actually set in my city, just with a little twist on the name). Blue Sky Days is set in Riverside, a small town three hours north of Toronto; The Game Changer is set in Bellevue, a city two hours east of Toronto; and Waiting for the Storm is set on Angel Island, which is part of the Thousand Islands off Kingston. Also, in each book, the characters visit at least one real Ontario city (Toronto, Ottawa, Kingston, and Belleville, just to give you an idea). 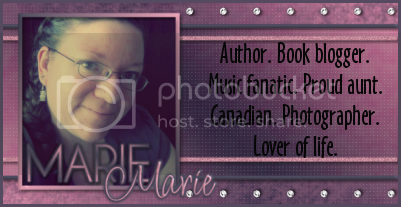 For this year's Canada Day Blog Hop, I'm giving away the winner's choice of an e-copy of one of my novels. *The giveaway runs from midnight June 27th - 11:59pm EST July 1st. I will contact the winner after the giveaway closes, and they'll have 48 hours to respond, at which point if I haven't heard back from them, I'll choose another winner. *The books are available in all e-formats, so you can choose the format for your reader, tablet, app, computer, etc. Be sure to check out the other stops on the hop. There are some fantastic giveaways that you won't want to miss! Have you signed up for the 2013 Canadian Reading Challenge yet? We're offering 2 prizes this year! I love ANNE OF GREEN GABLES so, Lucy Maud Montgomery. I'm going to head on over to the hop and sign up, BUT, I am insanely busy with Grad School prep so I will likely struggle with completing just one book. I'll find a short one! Glad you decided to run this again, though. Happy Canada Day! My favourite Canadian authors are Pierre Berton and Stephen Leacock.